If you do not have a prescribing practitioner, then Dr. Hale, AP will be glad to be of assistance. This is a professional brand product and as such there are internet sales restrictions per the manufacturer's policies. Phosphatidyl Choline (PC) is the most predominant phospholipid building block of animal and plant cell membranes, and an integral part of the structure of circulating lipoproteins. It is an integral component required for both membrane integrity and structure. Phosphatidyl Choline is a normal constituent of bile and facilitates fat emulsification, absorption, and transport. Metabolism of PC provides choline to the body, and while choline can be synthesized from methionine or serine, it is often considered an essential nutrient, and must be obtained from the diet. groups via its metabolite trimethylglycine (TMG), which is important for Phase II hepatic detoxification. 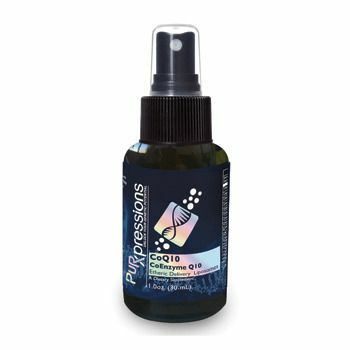 Encapsulation System brings the power of intravenous therapy into a convenient oral delivery. Etheric Delivery™ improves upon liposomal technology with smaller, more stable, single-layer spheres made from the highest-grade ingredients available. In addition to exceptional absorption rates, the nanospheres of Etheric Delivery™ have demonstrated the ability to cross the blood-brain barrier, deposit their cargo intracellularly, and enhance lymphatic circulation of nutrients. Also, the phospholipids that compose the liposome shell feed the cell membranes. This ensures the proper function for the absorption of nutrients and the excretion of cellular waste and toxins. General Suggested Usage: Take 1 teaspoonful (5ml) directly by mouth 1 to 3 times daily. Hold in mouth 30–60 seconds and swallow. Best taken on an empty stomach. Phosphatidylcholine has also been shown to be useful while taking detoxification products to enhance fat metabolism and liver regeneration. Refrigerate after opening. No mitochondrial supplement has been researched more intensively than CoEnzyme Q10. Its positive effects on the clinical markers of cardiovascular health, normal blood sugar control, and gum health have made it popular in the dietary supplement industry. However, its gastrointestinal absorption is limited, and traditional liposomal encapsulation does not suit this compound. The innovative chemistries of Quicksilver Scientific have solved this problem, resulting in a CoQ product with power that you feel quickly and clearly. Vitamin C is the quintessential exogenous (diet-derived) antioxidant. 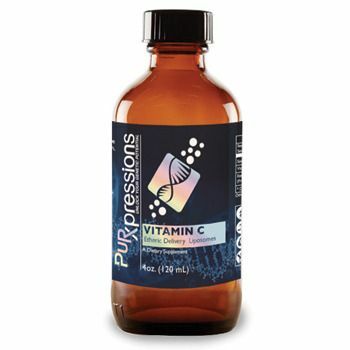 Vitamin C absorption decreases with increasing dosage, so a liposomal delivery of Vitamin C offsets that loss and enables high-level dosing without intravenous therapy. Take detox products for five days straight, and then take a break for two days. 1 scoop IMD in 4-6 oz water with 4 pumps Etheric Vitamin C with R-Lipoic Acid, or both can be taken directly orally with no water. What is flexible? All timing blocks are flexible (e.g., If there is fatigue, try taking the “On rising” IMD dose at night). If Clear Way Cofactors gives any stomach upset, take with meals. If taking Rentone, take 2–3 per day in divided doses with meals. Stop taking all Quicksilver supplements but double up on mineral formulas and take adaptogenic herbs, such as Ashwaganda or Eleuthro. 1 scoop IMD in 4-6 oz water with 5 pumps Etheric Vitamin C with R-Lipoic Acid, or both can be taken directly orally with no water. Take detox products for five days straight and then take a break for two days. 1 scoop IMD in 4–6 oz water with 6 pumps Etheric Vitamin C with R-Lipoic Acid, or both can be taken directly orally with no water. 1 scoop IMD in 4-6 oz water with 6 pumps Etheric Vitamin C with R-Lipoic Acid, or both can be taken directly orally with no water. This level will last approximately eight weeks, consisting of four 10-day-on/4-day-off cycles. It can alternatively be done in cycles of five days on/two days off, but the 10/4 cycles are a deeper cleanse. 1 scoops IMD in 4-6 oz water with 6 pumps Etheric Vitamin C with R-Lipoic Acid, or both can be taken directly orally with no water. 1 scoop IMD in 4-6 oz water with 4 pumps Etheric Vitamin C with R-Lipoic Acid, or both can be taken together directly orally with no water. What is flexible? All timing blocks are flexible (e.g., If there is fatigue, try taking the “On rising” IMD dose at night). If Clear Way Cofactors gives any stomach upset, take with meals. If taking Rentone, take 2-3 per day in divided doses with meals. Stop taking all Quicksilver supplements but double up on mineral formulas and Quinton Hypertonic and take adaptogenic herbs, such as Ashwaganda, Cordyceps, or Eleuthro. 1 scoop IMD in 4–6 oz water with 5 pumps Etheric Vitamin C with R-Lipoic Acid, or both can be taken together directly orally with no water. What is flexible? All timing blocks are flexible (e.g. If there is fatigue, try taking the “On rising” IMD dose at night). If Clear Way Cofactors gives any stomach upset, take with meals. If taking Rentone, take 2–3 per day in divided doses with meals. Stop taking all Quicksilver supplements but double up on mineral formulas and Quinton Hypertonic and take adaptogenic herbs like Ashwaganda, Cordyceps or Eleuthro. This level will last approximately six weeks, consisting of three 10-day-on/4-day-off cycles. 2 scoops IMD in 4-6 oz water with 8 pumps Etheric Vitamin C with R-Lipoic Acid, or both can be taken directly orally with no water. 1 scoop IMD in 4-6 oz water with 6 pumps Etheric Vitamin C with R-Lipoic Acid, or both can be taken together directly orally with no water. PLEASE CONTACT DR. HALE, AP, owner of iPlanet Health for a consultation. 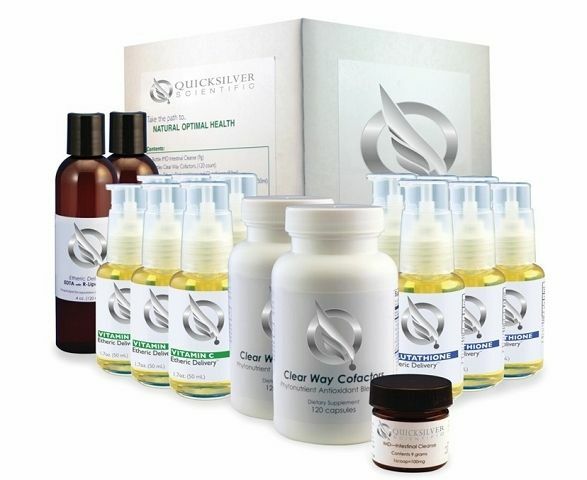 a three-part system to optimize the three most crucial parts of successful detoxification. IMD Intestinal Cleanse delivers insoluble thiol groups to bind and remove heavy metals accumulated in the intestines and to directly quench free-radicals. IMD’s actions enhance Phase III Detoxification—the system of transporters leading out of the body. Without the proper functioning of these transporters, efficient detoxification is not possible. IMD is a proprietary food additive product that consists of highly purified silica with covalently attached metal-binding groups. Both the silica base and the binding agent are GRAS (Generally Recognized as Safe) for use in food. Clear Way Cofactors is a proprietary blend of phytoextracted polyphenolics, sodium buffered R-Alpha Lipoic Acid (Na-RALA), targeted vitamins (B1, B5, B6), selenium, standardized kelp extract and high-potency Lumbrokinase designed to clear and maximize efficiency of metal detoxification pathways. Polyphenolic antioxidants such as those found in pine bark extract and Haritaki fruit (Terminalia Chebula) extract, have demonstrated tremendous efficacy in activating a “cellular master switch” called the Nrf2 protein. This protein turns on the intracellular production of several antioxidants, including glutathione, and detoxification molecules such as the Phase II enzyme Glutathione S-transferase. Polyphenols also feature strong anti-inflammatory properties, anticarcinogenic activity and passage through the blood-brain barrier. This formula has profound implications for healthy aging as well as detoxification! 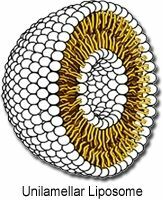 Liposomes are microscopic multi-layer spheres made of phospholipids (the basic building blocks of cell membranes) that encapsulate a compound, such as glutathione, in order to bypass the digestive processes that normally degrade or limit its absorption. Liposomes also demonstrate the ability to cross the blood-brain barrier, deposit their cargo intracellularly and enhance lymphatic circulation of therapeutic compounds. Additionally, the phospholipids that compose the liposome feed the cell membranes. This ensures the proper function for the absorption of nutrients and the excretion of cellular waste products and toxins. Liposomes bring the power of intravenous therapy into a convenient oral delivery. 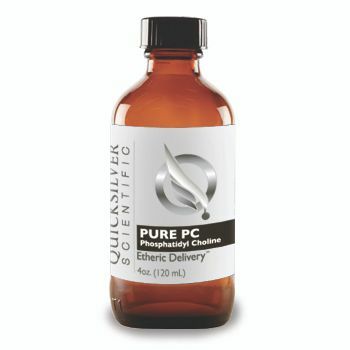 Quicksilver Scientific uses only the highest purity injectable-grade phoshpatidylcholine! Our Detox Qube contains all elements necessary for systemic glutathione system support to enable natural detoxification. One Qube can be used to complete any of the three levels of detox. Each successive level uses higher dosing than the previous, and as such the Qube contents are used in shorter time for each level. Levels should be completed in sequence. The protocols here are only suggested dosages and timings. Please verify this protocol with your healthcare practitioner. 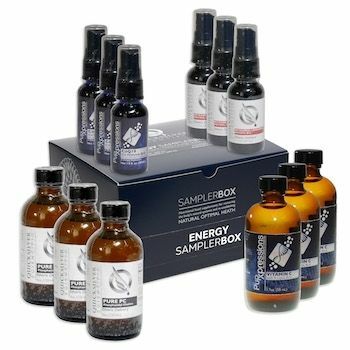 This system is not intended to diagnose or treat any disease, but it is designed to support your body’s natural antioxidant and detoxification system functions.